Patten Gymnasium's new boxing equipment is taking the place of several weightlifting machines in the weight room. Some students and faculty voiced concerns that the new equipment will shrink already limited recreational weightlifting resources on campus. Weight lifters who visit Patten Gymnasium this year will find fewer options for their workouts. Patten Gym installed new boxing equipment in its weight room at the request of the varsity women’s lacrosse team — a move that required taking away several weight-training machines. 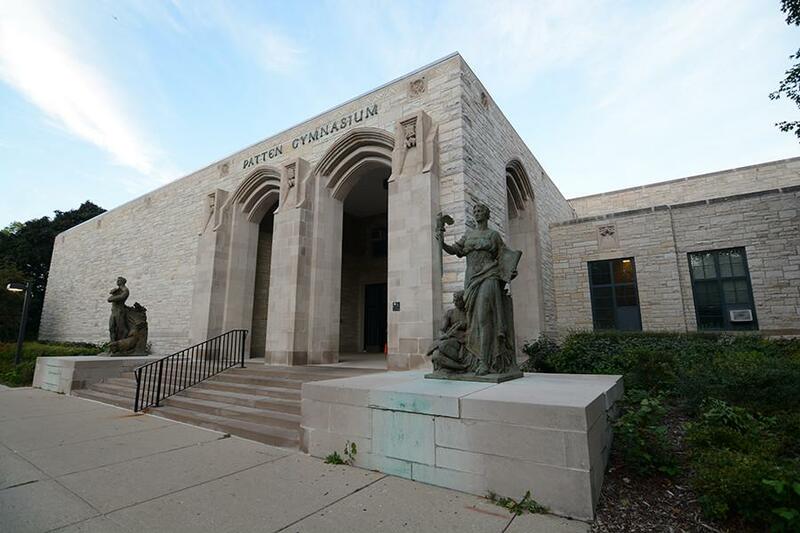 Following the closure of a local boxing center that the team frequented, the lacrosse team purchased around 20 punching bags that serve as part of a team workout, said Dan Bulfin, Northwestern’s director of recreational sports. Installing the new boxing equipment allowed Patten to weed out older, often rusted weight equipment in need of replacement, Bulfin said. Other than the removal of the few older machines, there are no changes in the facilities at Patten, which will still be open in the afternoon for drop-in workouts following varsity team training in the mornings, he said. Bulfin said students still have access to the same amount of weightlifting equipment because they can use new equipment at Henry Crown Sports Pavilion. The Crown Sports Pavilion finished updates, including a 30,000 square foot expansion, in November. However, the renovation at Patten has drawn criticism from some students who say that the change has made it more difficult to exercise. Survaish Khastgir, a Weinberg junior, works out at Patten three times a week. Khastgir said he is not a fan of the renovation, which he said has created congestion in the weight room. One of the main difficulties in working out at NU is the already limited equipment, said political science Prof. William Reno. Reno has been working out at Patten for over a decade, which — in addition to Crown Sports Pavilion — he thinks offers recreational weightlifters something different. Serious weightlifters can mind their own business on campus, whereas if they join a commercial health club it is difficult to get the same intensity of a workout while respecting other members, Reno said. He said weightlifters have to be more restrained at health clubs. As a longtime user of Patten’s facilities, Reno has seen how other renovations and policy changes have affected recreational lifters — both for the better and worse. Prior to the scheduling shift that opened Patten to athletic team training in the mornings, Reno said he saw far more faculty and graduate students using the gym. However, following the change the crowd at Patten consists of mostly undergraduates because they have the most flexibility in choosing workout times, he said. Although the University is right to support the success of its athletic teams by providing training spaces, it comes at the expense of users like himself, Reno said. “The women’s lacrosse team is great and they do very well, but the University loses its recreational weightlifting space,” he said. The headline of this story was updated for clarity at 12:43 a.m. Wednesday.